The Sel Magique Company specializes in fine Fleur de Sel salt blends, hand harvested and imported from Guérande, France. 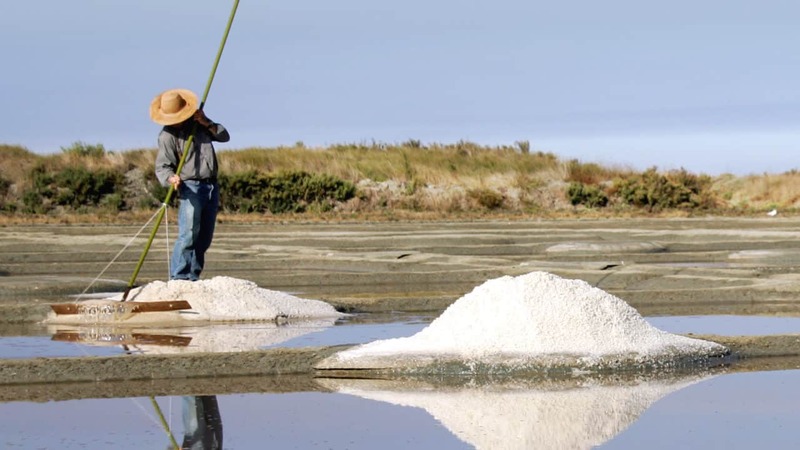 We produce in small quantities to ensure quality, then seal and age the blends to infuse the herb and spice essences into the salt crystals, allowing the flavor and aroma of the blend to develop, much like a fine wine. This time-tested technique ensures the very high quality and delicious flavors of our very versatile, distinctive blends. 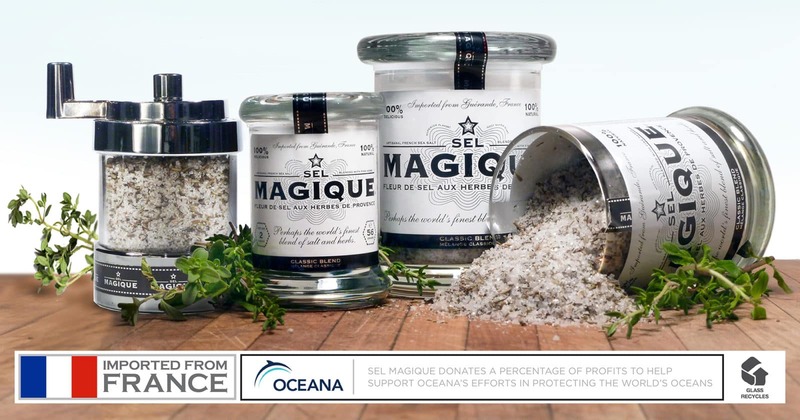 The heart of Sel Magique is our Classic Blend, our original Fleur de Sel de Guérande & Herbes de Provence mix. Completing the family are our unusually delicious Salt & Pepper and Spicy Blends. World-class chefs, celebrities, and thousands of customers trust Sel Magique, try it for yourself and Elevate Your Everyday™. 100% Natural. 100% Delicious. Our love of fresh, natural food and deliciously simple meals made us realize that we had to share this magique village salt. It redefined our ideas about ‘gourmet’, because it was so easy to make anything taste amazing with just a pinch–a simple tomato slice could be transformed into a tasty snack in seconds. An enlightened group of customers have come to love this secret blend of salt and herbs, making their everyday that much more delicious, effortlessly. 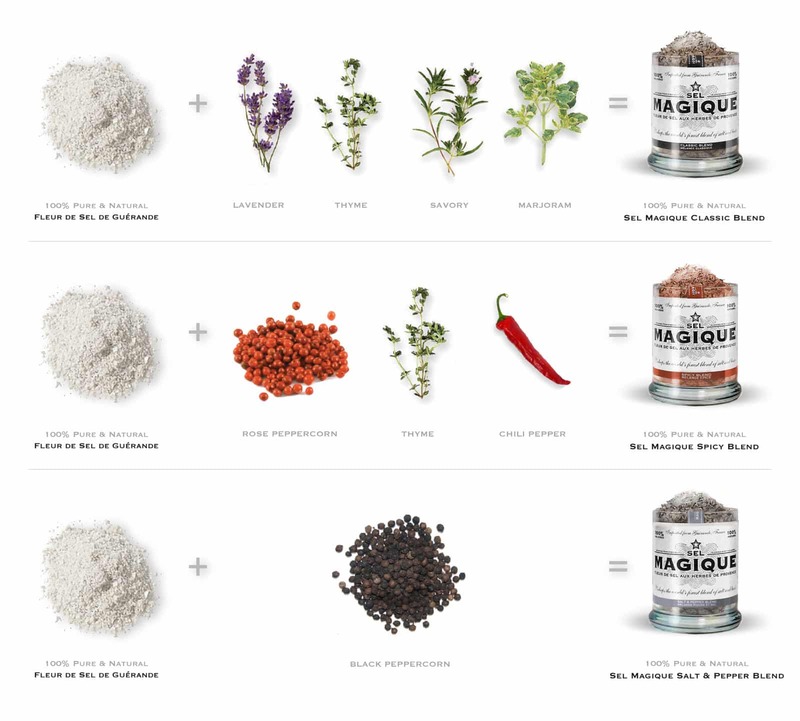 And as we create new flavors to elevate more of your everyday meals, Sel Magique continues to stand for premium, natural ingredients, a commitment to quality, and a simple, accessible elegance.